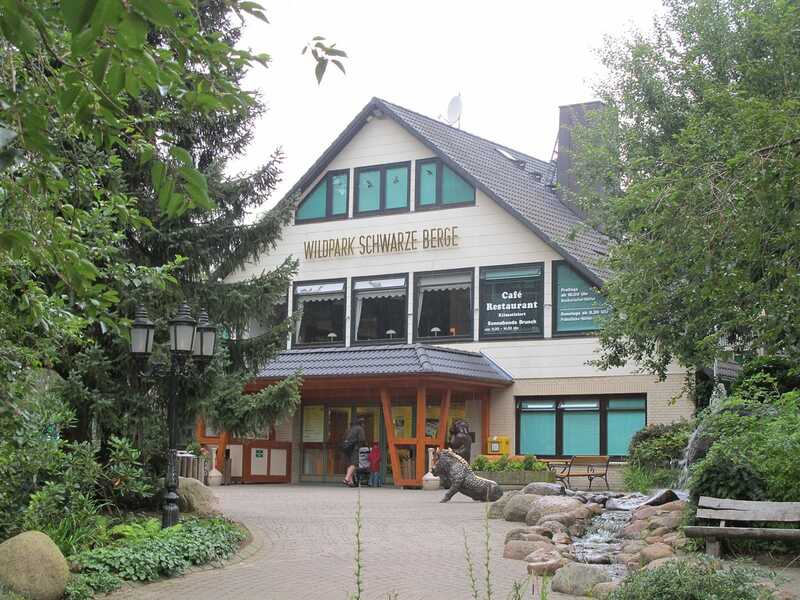 We'd been debating whether to stop at Wildpark Schwarze Berge this morning, as it really did constitute scraping the bottom of the proverbial barrel of coasters. In the end it was the 0800 opening time that made the decision for us, as it gave us an extra credit to tick off without affecting our planned arrival time at Heide Park. We were slightly less resolute when the alarm clock rang, but the die was well and truly cast at that point! After walking through the gate we learned that the various rides had yet to be powered up for the day, so we took the time to complete a walking tour of the inner perimeter of the park, an energetic one hour trek that felt no different to any other forest trail around the world. By the time we arrived back at the entrance the rides were open, allowing us to try out the Butterfly (#1657) before moving on. A lengthy queue had formed at Krake (#1658) by the time we got there, but it moved steadily and in due course we were on board. The first seventeen seconds of the new coaster are excellent, and everything the enthusiast could wish for, with elaborate theming, strong forces, floating airtime, and an effortless inversion. Unfortunately, the remainder of the coaster doesn't appear to exist, with the mid-course brake run actually turning out to be the end of the ride. There's something seriously wrong when a signature attraction at a park leaves passengers wondering if that's it? Die Schlange von Midgard (#1659) is the latest attraction to be added to Hansa Park, and it's an absolute winner. It features quality theming, a smoke screen projection effect on the lift hill, and two laps of a figure eight course taken fast enough to please even the most jaded enthusiast. Afterwards, I tried the Star Flyer for an overview photo before trying out The Bell, a spin ride that I'd had to skip on my last visit for time reasons. Though visually impressive, it is little different to an eight-seater frisbee, and as such lacks the capacity required for a big park such as this one especially when it takes time to check seat belts. We took a lap on the debatable powered coaster equivalent named El Paso before continuing on to Fluch von Novgorod, which today had a queue time of less than five minutes. As with my previous visit, I found myself sitting next to a screamer. The vertical lift mid-course was accompanied by a curious mixture of sheer terror blended with laughter; good times.